Glastonbury Festival organisers have begun a bid for a new licence. The application to Mendip District Council asks for the car park to be opened on Tuesday rather than Wednesday morning and for more space for camping. If granted, the event's future would be secured up to 2016. Organisers would surrender the current licence and work under the new licence's obligations. The consultation deadline for interested parties is 20 January and a final decision is due in February. 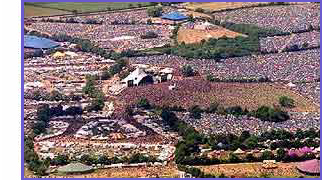 The 2010 Glastonbury Festival takes place from 23 to 27 June, with U2 set to headline.